First, there is the all new Mi Wi-Fi. It aims to build on the success of the original Mi router, which sold over two million units, not counting its later mini version. With the new generation, Xiaomi is upping the stakes. The unit promises faster and more-stable dual-band Wi-Fi 802.11ac support. It employs an “enterprise-class” PBC antenna array and a powerful Broadcom 4709C dual-core 1.4GHz processor and 512MB of flash storage. It also offers onboard storage, courtesy on Seagate or Toshiba surveillance. It can be used as a simple NAS or in tandem with Xiaomi’s proprietary tools for remote downloads, automatic backups, remote access to files and many more features, users have come to love from the current generation of Xiaomi smarty routers. It comes in two versions – one with 1TB of storage, priced at CNY 699 (about $115) and the other with a whopping 6TB of storage and a price tag of CNY 2999 (about $ 485). Sales will begin through mi.com on June 18. 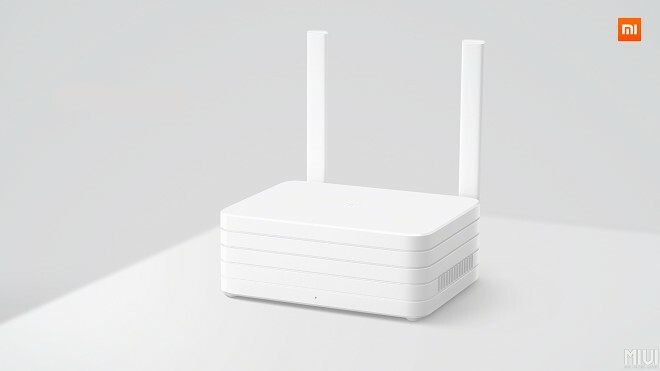 To complement the new router, Xiaomi launched another small piece of network equipment. 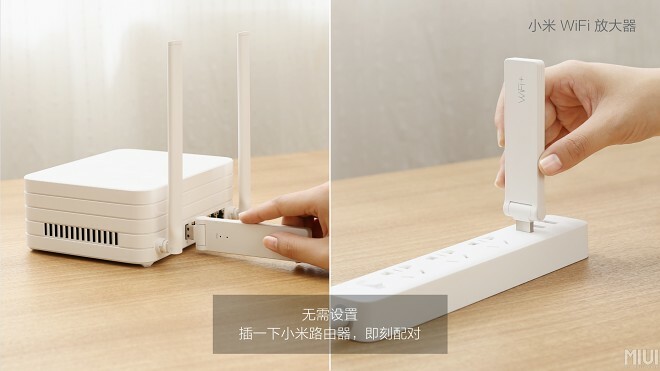 It is dubbed the Xiaomi WiFi magnifier and is a compact Wi-Fi extender. It is USB powered and offers plug and play setup by simply connecting it to a compatible router. Its price is only CNY 39 or $6. 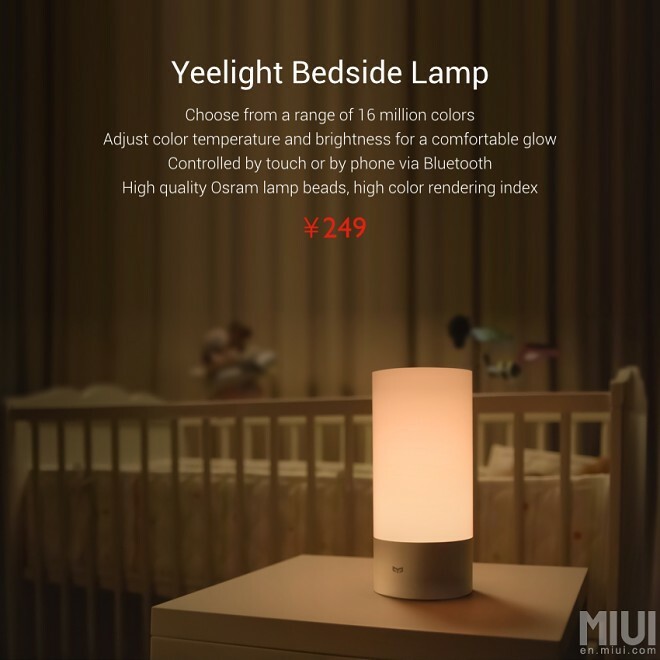 Last, but not least, Xiaomi also launched a stylish smart bedside lamp. It is called the Yeelight and can easily be programmed with varying light intensity, temperature and color. This can be done with the help of touch controls on the light itself or via Bluetooth and a dedicated app. The stylish geeky decoration comes with a price of CNY 249 or about $40.